When a lead displays interest – it’s important to act quickly. Real-time sales techniques enable your team to meet the customer in the optimum environment and close the deal. One of the most important reasons for this is the ability to tap into the power of context – but why is it important? The Tipping Point by Malcolm Gladwell argues that people’s environments are more influential in determining their actions than their personalities. In both the online and offline worlds, a huge amount of work is put into creating this environment. It might seem more obvious to create real-time sales opportunities face to face but the tools exist online as well. Let’s first think about the environment Apple create within their retail stores. They are impeccably designed in premium city locations with exceptional service levels. There are tools to keep visitors in that environment, like the ability to freely demo Macbooks and free events. However, as soon a visitor leaves that environment, there’s a tendency to become more rational quite quickly. Very keen potential customers begin to think harder about the purchase and alternatives in the market place. Notice how you never get a ‘hard sell’ from any of their sales associates. This is a another deliberate part of that curated environment. A pushy, sales-heavy atmosphere would not align at all with their brand message. In fact, curating the perfect purchasing environment and then allowing customers to reach their own decisions – unpressured – is part of this curation. Most purchases are emotional decisions that are later validated by some rational argument. This process of decision making and the emotional state are highly influenced by the context of that sale. How does this transfer online? This context curation extends itself to an online experience as well. The design and content of a website are deliberately establishing a purchase-friendly environment for a customer. 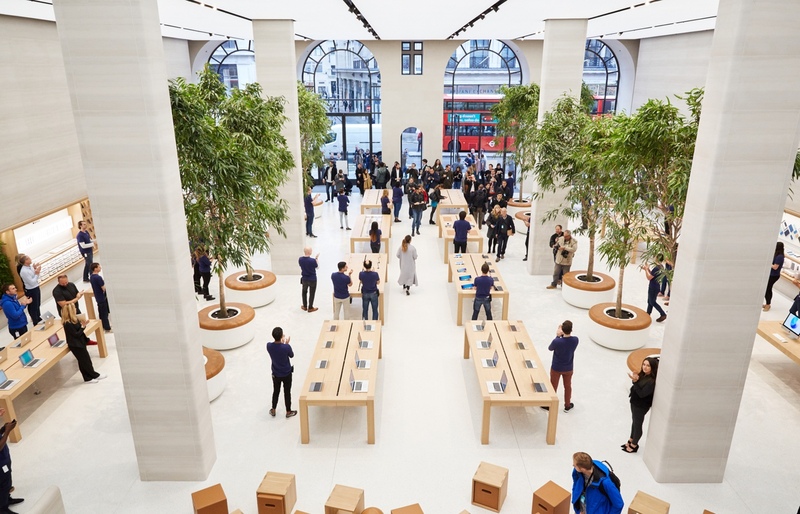 Just as the hands-on experience at Apple keeps you in-store, keeping online visitors engaged is also key to success. Everything from how a site’s call-to-action buttons are designed, to the style of content they produce, and the colours and images they use have the ability to impact a visitor’s decision. However, online your biggest competitor is the browser’s ‘back’ button, not another store. In the online world, you don’t have a visitor stood right in front of you, and so you can’t apply any of your knowledge of behavioural signals or body language to your approach. This barrier makes the application of real-time sales techniques even more crucial. Phoning a lead as soon as they fill out a contact request is significantly better than sending an email. You can catch them just after they visited your site, rather than being lost in a cluttered inbox. Think about the benefits of being in that environment. An even more optimal solution would be to communicate with them in real-time while they are still on your website, with live messaging tools, to fully benefit from the context of that environment. Using live chat for sales is a great example of this. It is possible to curate this environment using online software. With live chat technologies supporting real-time sales, you no longer have to leave the context of your site to do this. When you really know your customers and collate the information you have on your visitors using a tool like our Customer Data Hub you are able to better tailor the experience. Options to segment by groups, or to look at an individual’s live profile are key for personalisation. For example, your conversation with a visitor will be very different depending on whether the visitor is looking at your blog posts, or at your pricing page, and whether it’s their 1st or 10th visit to your site. This case-by-case outreach helps you provide real value to your site’s visitors as part of their own unique customer journey. In-store, a sales associates will stop by to ask if customers ‘need any help?’. This helps to engage a potential customer and gives a sales team the chance to expand on the product’s benefits. Pro-active live chat prompts enable you to bring this practice to your online experience. We have previously written about the power of using live chat prompts, it’s full of tips of how you could get started. We have a saying here at GoSquared “Act now, not tomorrow”. This helps us to move quickly towards our goals and gives us momentum. We realise that something we thought might take a week can be done in a day if you just get going. This principle is also at the heart of the argument for the value of contextual real-time sales. The quicker you engage with a lead, the closer you are to benefiting from the context of the environment you have created. For every second you leave it, the context and opportunity dissipates. 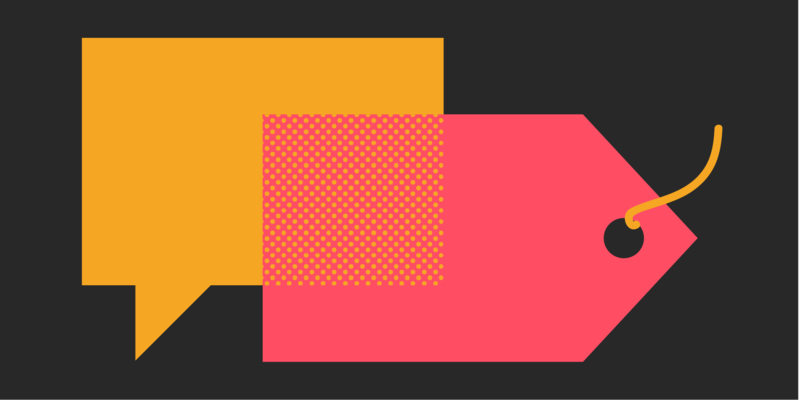 For other sales advice head to this post and read about how live chat can speed up your sales process, or check out how better understanding customer behaviour can help you close 5 x more leads.